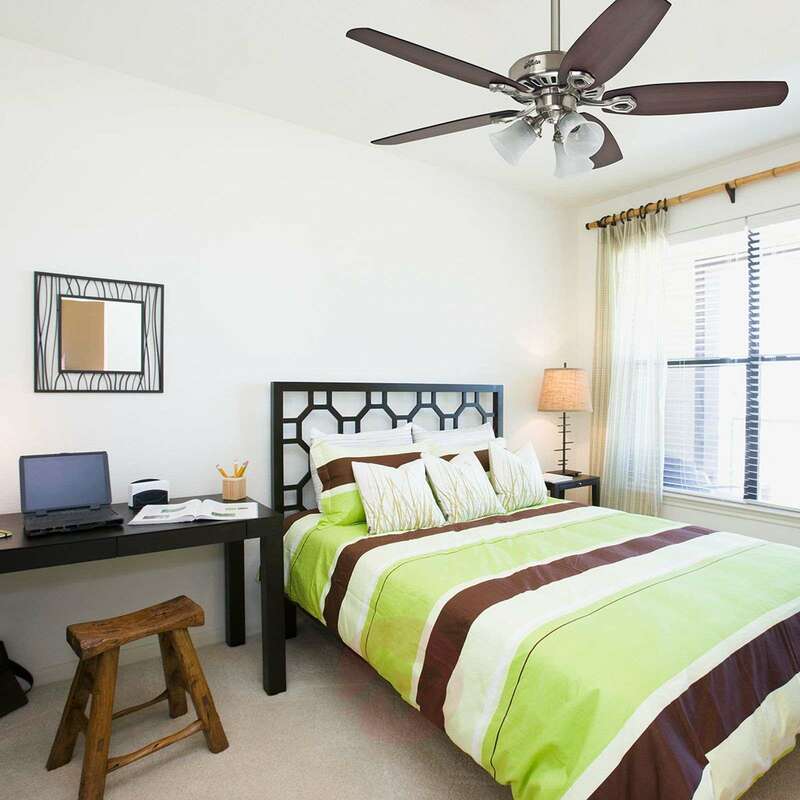 A pleasant room atmosphere with plenty of light - the Builder Plus ceiling fan provides both perfectly. The ceiling fan is equipped with the quiet Whisperwind® motor as well as a three-bulb light. It also comes with elegant wooden blades, which can be installed on either side. The blades have a cherry wood design on one side and a dark walnut finish on the other. 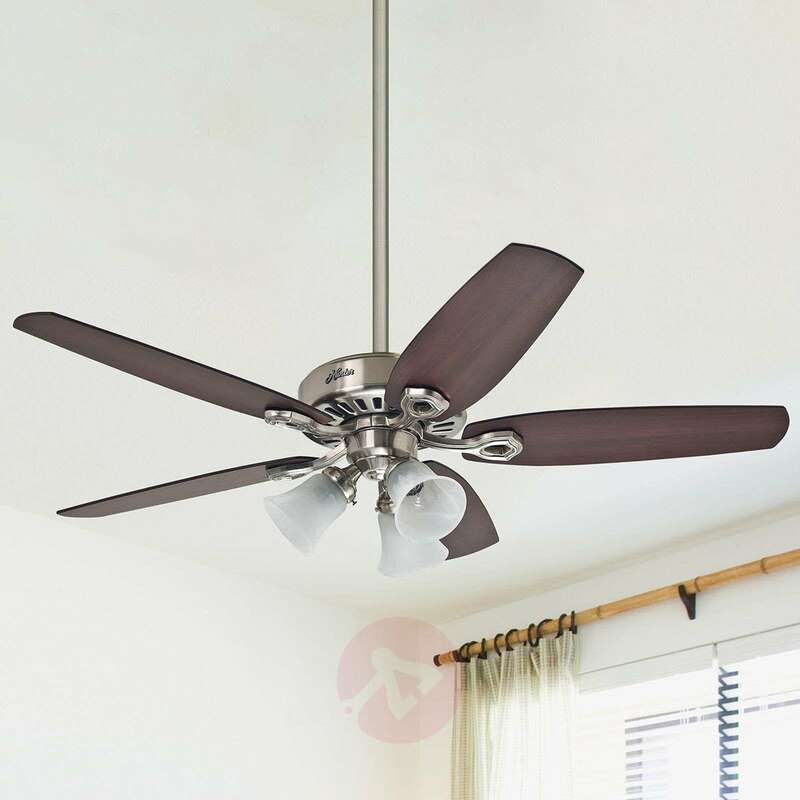 A sliding switch on the ceiling fan can be used to set the rotational direction of the blades. This makes it very easy to change the rotation direction from a cooling summer mode to a heat-circulating winter mode. The light and fan can be turned on and off separately from one another via the two pull chains provided. It is also possible to set three different speed levels for the fan. Can be upgraded with a wall switch or a remote control (available as accessories). 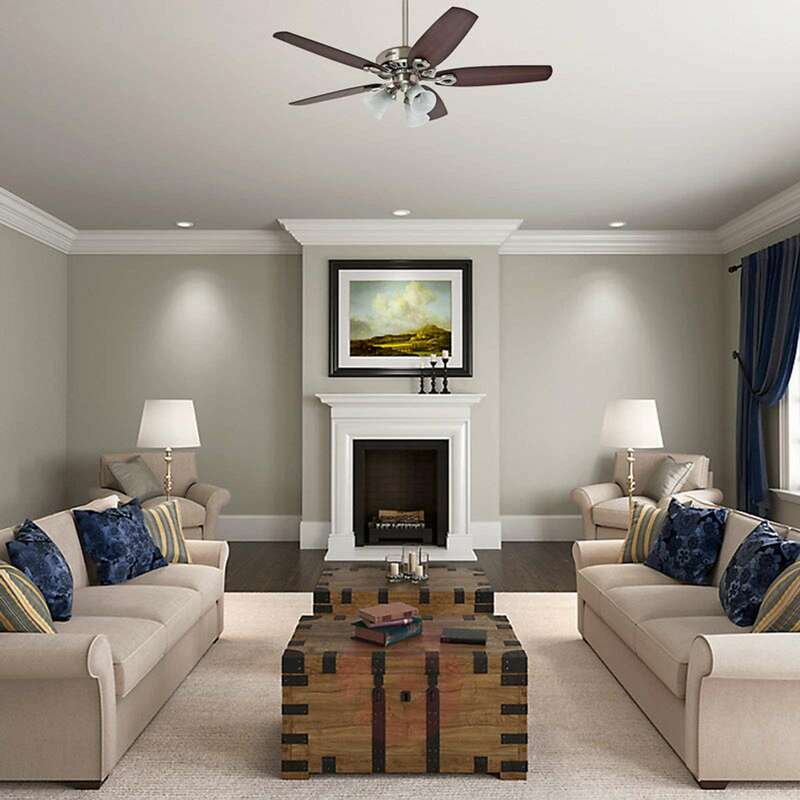 The Builder Plus ceiling fan can also be installed on sloped ceilings.